Select a period and the number of people and our booking tool will show you which room or suite can be booked for that period. Please note: The booking system on this page also suggests properties in our other houses, the carriage house and the house Barkhausen, should these also be available. 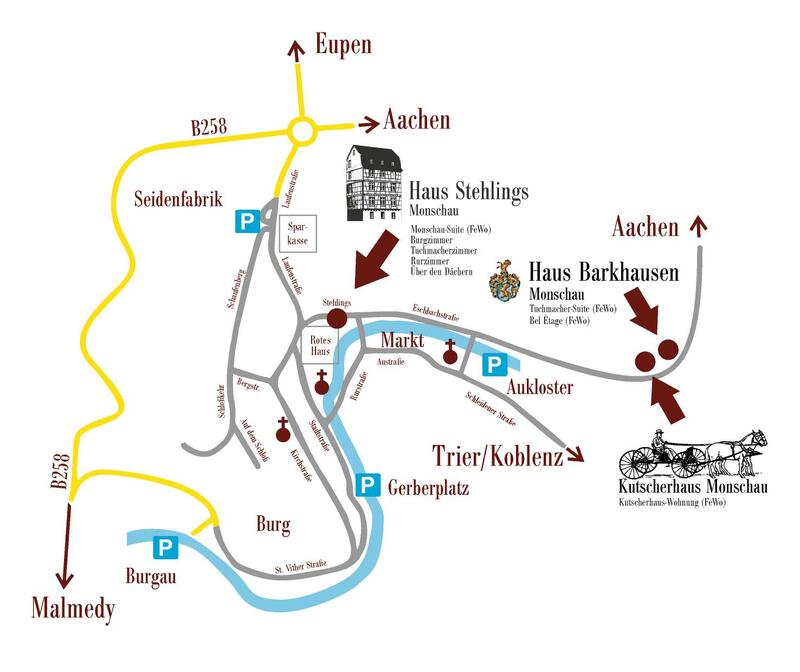 These are only a few minutes’ walk away from Haus Stehlings. In the house Barkhausen there is thereby one cloth maker Suite. Please do not confuse this with the cloth makerroom (here at Haus Stehlings)! The holiday flat Bel Étage can also be found in Haus Barkhausen.